We are a reliable company that trades and supplies Thermoplastic Blow Molding Machine . These are considered as the epitome of precision engineering and sheer quality. Moreover, these are easily adjustable as per the requirements, and thereby enable the deliverance of flawless performance. We offer them in customized packaging to ensure damage free delivery of our products. 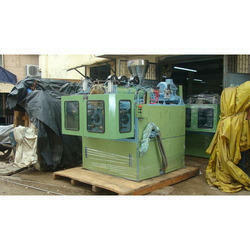 Injection Blow Molding Machines are available at very reasonable prices. • Price range from 5 to 30 Lakh. Looking for Thermoplastic Blow Molding Machine ?